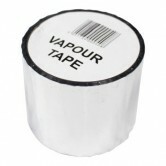 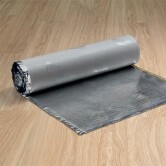 Using underlay makes fitting engineered wood or laminate flooring simple. 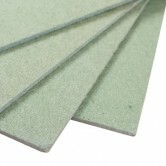 It can be cut to size quickly, laid out and then the flooring can be installed on top straight away. 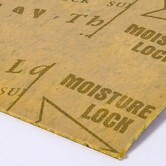 WPVA glue is all that is needed to physically bond each plank together along their full length and width. 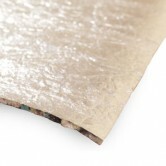 Our underlay range has a variety of sound absorption and thermal insulation properties and whatever your budget we have a product suitable. 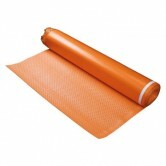 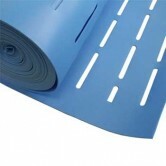 We have different types of underlay to suit different needs, for example underlay that can be used with underfloor heating, underlay to be glued down and underlay to provide either thermal or sound insulation. 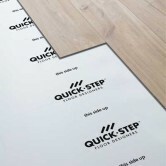 If you are unsure which underlay you require, please either call our sales office or see our blog article on What underlay should I use for my wooden floor? 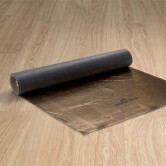 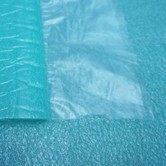 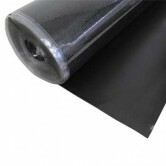 Usually underlay should only be used with engineered hardwood flooring (or bamboo or laminate flooring), and should never be used with solid wood flooring, however the exception to this is when using glued underlay, which is compatible with solid or engineered wood as the underlay and the flooring are both being fixed into position. 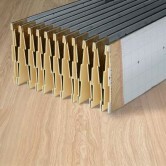 If you have not yet chosen your floor, please see our range of engineered wood flooring or solid wood flooring.